The kids have always loved Welch's Grape Juice. Knowing it's made from 100% grapes and is full of nutrients and antioxidants make it a no brainer to serve it to them. While we have always been fans, I was not aware of all the tools Welch's provides to promote healthy and active lifestyles to their consumers. I always like to point out companies that are giving back and prefer to give them my business. Welch's is providing knowledge. Diet and Exercise impact our health but so do our genes. Family Vine is a site where families can share health information with others and create a complete history to share with Doctors to promote productive and proactive conversations. This site has tons of information on the benefits of grapes and updates as new studies are done. While the information is in summary form, links to the full articles are provided. You can find up-to-date studies on how Concord Grapes can benefit you and your family in the areas of Cardiovascular Health, Cognitive Health and Immune System Health. They also provide links to "Grapes in the News" and Grape Nutrition Resources. It's a wealth of information. Looking for a recipe using Welch's Grape Juice? Look no further. Beverages, sauces, main courses and even "The Great PB&J Makeover" are all right here. For other info on Welch's you can follow them on Twitter or like them on Facebook. As part of this tour, we were also asked to participate in a "Paint it Purple" project. It could be anything from recipes to poems to painting. Creativity was the key. We may have dropped the ball here. 3 weeks ago Puddin Pop and I had removed all the wallpaper from our guest bathroom. It's needed to come down since we moved in but other projects have taken priority. Once we removed the wall paper and chair rail we waited for inspiration to come on what color(s) we should paint it. The kids suggested "rainbow" but that seemed like a little much for me. When Welch's suggested we "Paint it Purple", I thought "Hmmm. Is that a good idea?" I asked the kids what they thought and they LOVED the idea. Especially PP who has concluded that purple is her new favorite color (she's 4). This week is Spring Break and the kids spent the first half with their dad. I took the opportunity to get this project finished. I was hoping to have it completed by this post but the deadline got here before the border did so... You end up with a shot of the upper half. Hope that's okay. I'll update when the border arrives and we get it up. ... if it ever shows up. 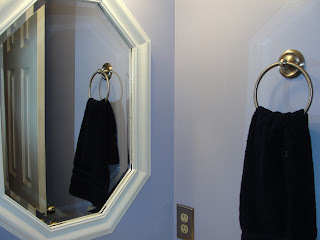 We also painted that mirror, which was dark wood, and replaced all the fixtures updating the brass to brushed nickel. We are very pleased with our new bathroom and Thank Welch's for the inspiration. To celebrate we had strawberries and blueberries that were soaked in Welch's grape juice. YUM. YUM. 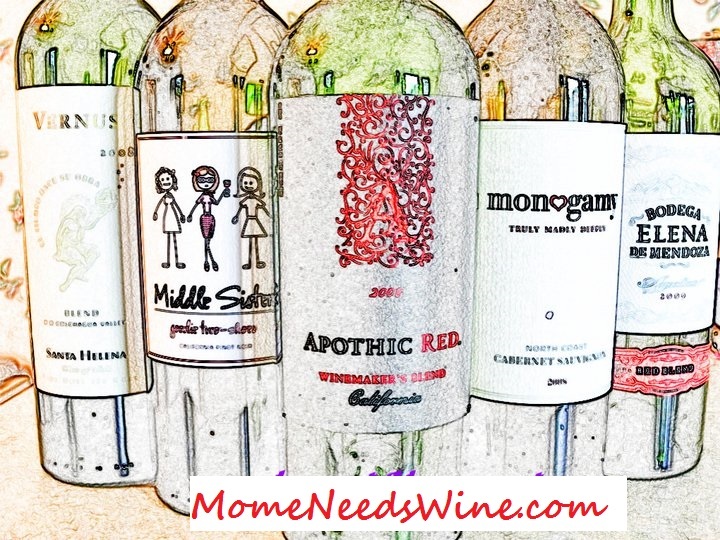 I wrote this review while participating in a blog tour by Mom Central Consulting on behalf of Welch’s and received a product sample to facilitate my review and a gift code to thank me for taking the time to participate.